“Forex” stands for for­eign exchange; it’s also known as FX. 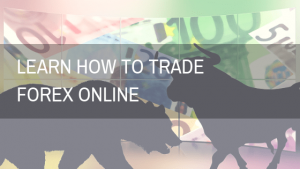 In a Forex trade, you buy one cur­rency while simul­ta­ne­ously sell­ing another. 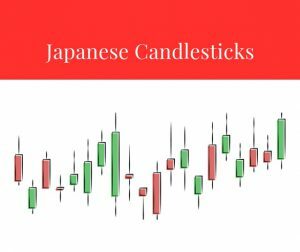 Cur­ren­cies trade in pairs, like the Euro-US Dol­lar (EUR/USD) or US Dol­lar / Japan­ese Yen (USD/JPY). Forex trad­ing is used to spec­u­late on the rel­a­tive strength of one cur­rency against another. The for­eign exchange mar­ket is an over-the-counter mar­ket, which means that it is a decen­tralised mar­ket with no cen­tral exchange. Who trades cur­ren­cies, and why? For­eign trade (5%). Com­pa­nies buy and sell prod­ucts in for­eign coun­tries, plus con­vert prof­its from for­eign sales into domes­tic currency. Most traders focus on the biggest, most liq­uid cur­rency pairs. “The Majors” include US Dol­lar, Japan­ese Yen, Euro, British Pound, Swiss Franc, Cana­dian Dol­lar and Aus­tralian Dol­lar. 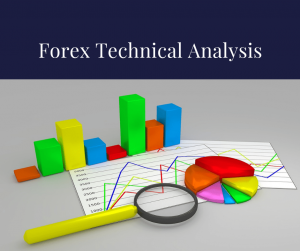 In fact, more than 85% of daily Forex trad­ing hap­pens in the major cur­rency pairs. Forex is the world’s most traded mar­ket, trad­ing 24 hours a day. With aver­age daily turnover of US$3.2 tril­lion, Forex is the most traded mar­ket in the world. 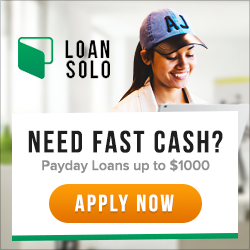 A true 24-hour mar­ket from Sun­day 10 PM GMT to Fri­day 10 PMGMT, Forex trad­ing begins in Syd­ney, and moves around the globe as the busi­ness day begins, first to Tokyo, Lon­don, and New York. Unlike other finan­cial mar­kets, investors can respond imme­di­ately to cur­rency fluc­tu­a­tions, when­ever they occur — day or night. 2. The value of the base cur­rency is always 1. The US dol­lar is usu­ally con­sid­ered the base cur­rency for quotes. When the base cur­rency is USD, think of the quote as telling you what a US dol­lar is worth in that other currency. When USD is the base cur­rency and the quote goes up, that means USD has strength­ened in value and the other cur­rency has weak­ened. In other words, a ris­ing quote means that the US dol­lar can buy more of the other cur­rency than before. There are three excep­tions when the US Dol­lar is not the base cur­rency of a pair — these excep­tions are the British pound (GBP), the Aus­tralian dol­lar (AUD) and the Euro (EUR). For these pairs, the quote is based on the other cur­rency, and a ris­ing quote means that the other cur­rency is strength­en­ing, and the US dol­lar is weakening. Cur­rency pairs that don’t involve USD at all are called cross cur­ren­cies. The BIDis the price at which you can SELL base currency. The ASKis the price at which you can BUY base currency. The spread is the dif­fer­ence between the BIDand the ASK, and rep­re­sents the cost of trading. In Forex, spreads are tighter than many other mar­kets, mak­ing it cost effec­tive to trade on rel­a­tively small price move­ments. Forex prices are gen­er­ally very liq­uid, and are usu­ally quoted in very small incre­ments called pips, or “per­cent­age in point”. A pip refers to the fourth dec­i­mal point out, or 1/100th of 1%. For Japan­ese yen, pips refer to the sec­ond dec­i­mal point. This is the only excep­tion among the major currencies. Lever­age trad­ing, or trad­ing on mar­gin, means you aren’t required to put up the full value of the posi­tion. As a result, you can open a sig­nif­i­cantly larger posi­tion that you would be able to if you needed to fund your trade in full. No other Finan­cial Mar­ket gives you lever­age as does the forex mar­ket. A 100:1 lever­age means that for every £1,000 you deposit, you can trade with £100,000. This gives you the abil­ity to gain sub­stan­tially by good trades. Trad­ing on lever­age increases your poten­tial for profit, but also increases your risks. More lever­age means more oppor­tu­nity — and more risk. Trad­ing using lever­age offers sig­nif­i­cantly increased profit poten­tial, but it is impor­tant to remem­ber that it also means sig­nif­i­cantly increased risk. 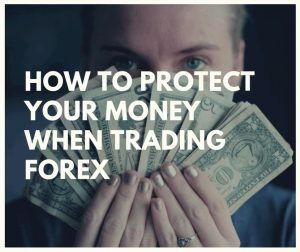 Your risks can be lim­ited by mon­i­tor­ing your account, and by using stop losses to set the max­i­mum loss you are pre­pared to take on any one position. 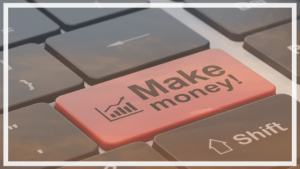 Most online trad­ing plat­forms will auto­mat­i­cally cal­cu­late the P&L of your open posi­tions, but it is use­ful to under­stand how this cal­cu­la­tion is made to under­stand your profit and loss poten­tial on each trade. To illus­trate the Forex trade, con­sider the fol­low­ing two exam­ples. Let’s say that the cur­rent bid/ask for EUR/USD is 1.4616/19, mean­ing you can buy 1 euro for 1.4619 or sell 1 euro for 1.4616. Sup­pose you decide that the Euro is under­val­ued against the US dol­lar. To exe­cute this strat­egy, you would buy Euros (simul­ta­ne­ously sell­ing dol­lars), and then wait for the exchange rate to rise. So you make the trade: to buy 100,000 Euros you pay 146,190 dol­lars (100,000 x 1.4619). Remem­ber, at 1% mar­gin, your ini­tial mar­gin deposit would be approx­i­mately $1,461 for this trade. As you expected, Euro strength­ens to 1.4623/26. Now, to real­ize your prof­its, you sell 100,000 Euros at the cur­rent rate of 1.4623, and receive $146,230. You bought 100k Euros at 1.4619, pay­ing $146,190. Then you sold 100k Euros at 1.4623, receiv­ing $146,230. That’s a dif­fer­ence of 4 pips, or in dol­lar terms ($146,190 — 146,230 = $40). Total profit = US $40. Total loss = US $80. 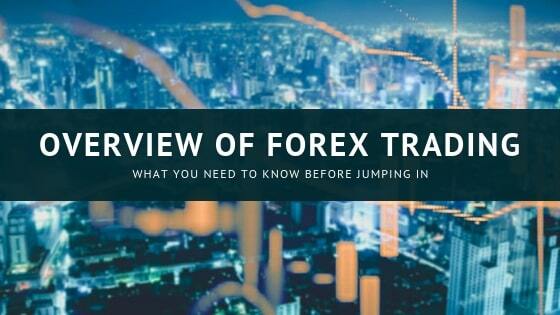 This forex guide is designed to pro­vide help­ful advice regard­ing the sub­ject matter(s) covered. The web­site owner and con­trib­u­tors do not engage in the prac­tice of pro­vid­ing legal or pro­fes­sional advice and that the laws and reg­u­la­tions gov­ern­ing the subject(s) cov­ered in this guide may vary from state to state, and coun­try to country. Trad­ing for­eign exchange Forex and any other finan­cial mar­kets on mar­gin carry a high level of risk, and may not be suit­able for all investors. The high degree of lever­age can work against you as well as for you. Before decid­ing to invest in the finan­cial mar­kets you should care­fully con­sider your invest­ment objec­tives, level of expe­ri­ence, and risk appetite. 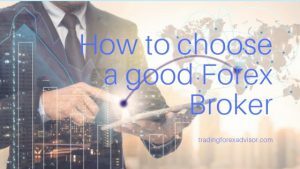 The pos­si­bil­ity exists that you could sus­tain a loss of some or all of your ini­tial invest­ment and there­fore you should not invest money that you can­not afford to lose. The infor­ma­tion con­tained here was gath­ered from sources deemed reli­able; how­ever, no claim is made as to its accu­racy or con­tent. 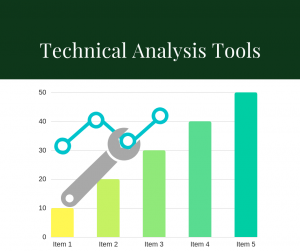 There is a risk of loss in trad­ing cur­ren­cies sig­nals, futures and futures options and stocks and stocks options, commodities, met­als and oth­ers and you should care­fully con­sider your finan­cial posi­tion before mak­ing any trades. 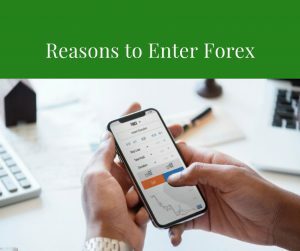 You must be aware of the risks and be will­ing to accept them in order to invest in the forex and any other finan­cial mar­kets. Don’t trade with money you can’t afford to lose. All opin­ions, news, videos, charts, research, analy­sis, webi­nars, trad­ing ses­sions, prices or other infor­ma­tion con­tained on this apple appli­ca­tion and web­site are pro­vided as gen­eral mar­ket com­men­tary. Spartantraderfx.com will not accept lia­bil­ity for any loss or damage, including, but with­out lim­i­ta­tion to, any loss of profit, which may arise directly or indi­rectly from use of or reliance on such information. The con­tent on this Web­site and appli­ca­tion is sub­ject to change at any time with­out notice and is pro­vided for the sole pur­pose of assist­ing traders in mak­ing inde­pen­dent invest­ment deci­sions. 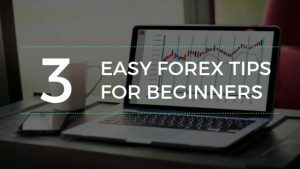 The reader accepts that by using this infor­ma­tion, he or she will not hold spartantraderfx.com and the owner and oper­a­tor of the site, respon­si­ble for deci­sions based on infor­ma­tion from this site. The infor­ma­tion pre­sented with the web­site is for edu­ca­tional pur­posed only.